The Cashiers real estate market held pretty steady between October and November, as evident by the most recent real estate data. If you’re thinking about purchasing a Cashiers NC home for sale, I recommend you continue reading to learn more about what homes are selling for in the area. This information will make you better prepared as you continue to navigate the market looking for your dream home. Currently there are 589 resale and new homes. Last month, there were 598 homes on the market. During the week ending on Nov. 16, the average listing price for a Cashiers home was $1,029,505. For the week ending on Nov. 16, the average listing price for a 1-bedroom home was $283,000. The average listing price for a 2-bedroom home was $331,000. And the average listing price for 3-bedroom and 4- bedroom homes was $803,000 and $1,300,000. If you would like some help interpreting the most recent data and understanding how it affects you as a home buyer, contact me, Dorothy Swearingen, today. Sell Your Western North Carolina Home Before the New Year! Most home sellers in the Cashiers area of North Carolina believe that winter is the absolute worst time to sell their home. The figure that between holiday planning, work and family life, interested home buyers aren’t going to have the time to navigate the market looking for their next home. Although this is a valid concern, it’s still possible to sell your Western North Carolina home during the wintertime, as long as you market it correctly. Continue reading to learn about steps you can take to ensure that you’re home leaves a good impression on interested home buyers. The first thing that home sellers should know about wintertime home buyers is that these people mean business! After all, why would you even both juggling holiday planning, house hunting and day-to-day obligations unless you were serious about investing in a piece of mountain real estate. Thus, home sellers should be aware that first impressions are going to be critical. Create an environment where home buyers can visualize themselves living in your home. Do this by adding a few warm and welcoming accents around your home, such as a holiday wreath on the door or by setting the dining room table. But remember: less is more. Too many accents may prove distracting to home buyers. Or worse, it may cause home buyers to envision YOUR family living there. That’s certainly the last thing you want when you’re trying to sell your home. Accommodate the home buyers schedule as often as possible. These individuals are taking the time out of their busy holiday season to tour your house and see if it’s a good fit for their family. So be flexible and work with their schedule as best you can. You never know – it might lead to you selling your home! Let there be light. A few selectively placed lights can do wonders for making a room feel bigger and more inviting. The same goes for open curtains. Add even more emphasis to your home’s great features by using porch lights or other exterior lights. After all, winter is the time of year when natural light is lacking, so you’ll need all the extra lighting you can get. Just say “No” to Seasonal Home Aromas. While the smell of apples and cinnamon might be one of your favorite holiday aromas, it might be off-putting and distracting to an interested home buyer. With such aromas, you risk leaving a bad impression on a home buyer, causing a prospective deal to fall through. To avoid that, put away the holiday aromas for showings. Selling your home in the Cashiers NC area doesn’t have to be an impossible task if you know how to market your home successfully. 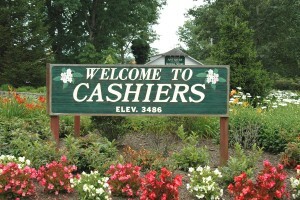 The Cashiers, NC community is perhaps one of the most thriving Western North Carolina communities. Received a land grant from the federal government to help protect some of the area’s scenic byways. And even approved a new $8 million recreation center for the community. Cashiers, NC is the place to be if you want to live in a community that preserves its heritage while embracing the future. If you’re interested in relocating to the Cashiers, NC area, then continue reading to learn valuable information about the current state of the market there. During the week ending on August 31, there were 605 resale and new homes on the Cashiers real estate market. During that week, the average listing price for Cashiers homes for sale was $997,464, which represented no change when compared to the week before. For the week ending on August 31, the average list price for a 2-bedroom Cashiers home for sale was $328,000. The average list price for a 3-bedroom Cashiers home for sale was $736,000. During that same week, the average list price for a 4-bedroom Cashiers home for sale was $1.44 million. If you’d like to learn more about investing in Cashiers, NC real estate, then contact me, Dorothy Swearingen, today. Located at a cool 3,500 feet above sea level, Cashiers NC is a thriving Western North Carolina town with a distinctive culture. And with a number of fantastic amenities and quality public schools nearby – It’s no wonder that Cashiers, NC real estate is constantly in high demand! Continue reading to learn more about the current state of the Cashiers, NC real estate market and what it means for interested Cashiers NC home buyers. There are currently 622 resale and new homes in on the Cashiers, NC real estate market. The average listing price for a Cashiers, NC home for sale was $1,053,786 for the week ending on August 3, which is a 0.5 percent decrease of 0.5%, or $5,002, compared to the prior week. For the week ending on August 3, the average list price for a 2-bedroom Cashiers home for sale was $368,000. For the week ending on August 3, the average list price for a 3-bedroom Cashiers home for sale was $750,000. For the week ending on August 3, the average list price for a 4-bedroom Cashiers home for sale was $1.5 million. If you’ve been thinking about entering the Cashiers, NC real estate market as a Cashiers home buyer, then contact me, Dorothy Swearingen, today. As your Cashiers NC real estate expert, I’ll answer any questions you might have about living in Cashiers as well as let you know about available listings in the area.